It looks like gamers thumb isn’t the only thing you need to worry about following a lengthy gaming session. That clever bunch of people, only ever referred to as scientists from *insert university here (in this case Geneva University Hospital) have discovered a new gamer related condition. This is serious stuff – it’s even been recorded in the British Journal of Dermatology. 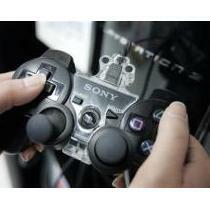 Dubbed, PlayStation palmar hidradenitis, the condition includes sweaty palms, painful lesions and 360 degree head rotation. Ok, the latter I stole from the Exorcist, but the other two symptoms are real and were discovered on an overenthusiastic 12 year old gamer, who after too many late night Playstation sessions, ended up with painful sores on the palms of her hands. Her parents revealed she’d recently gone into Playstation overdrive and was spending hours glued to her Playstation, which led researchers to conclude that her tight grip of the controller and game related sweating from all the tension were the cause of her skin disorder. So, the next time you have one of those gaming session that starts off as a couple of hours and continues loooong into the night, give a bit of consideration to your poor, sweaty and over-worked hands.